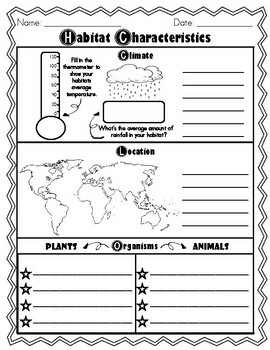 Help your students organize their research with this Habitat Characteristics Graphic Organizer. Students can complete one while researching individual habitats and then use their notes to compare and contrast characteristics of each habitat! "Great! Simple, concept of basic facts from habitats." - Victoria C.